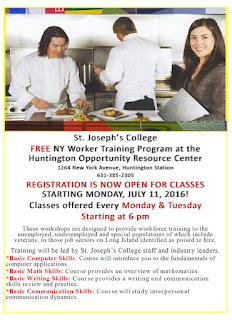 St. Joseph's College in cooperation with the Huntington Opportunity Resource Center will offer some new workshops that are designed to provide workforce training to un/underemployed residents & special populations, which include veterans, in those job sectors on Long Island identified as poised to hire. Training will take place at the Huntington Opportunity Resource Center (HORC) & will be led by St. Joseph's College staff & industry leaders. The primary emphasis will be placed on the hospitality industry. These workshops will also include career preparation & address "soft skills" that are vital for job seekers to pursue gainful employment. This program is FREE. Registration is now open for classes starting Monday, July 11th. Classes offered every Monday & Tuesday starting at 6 PM. 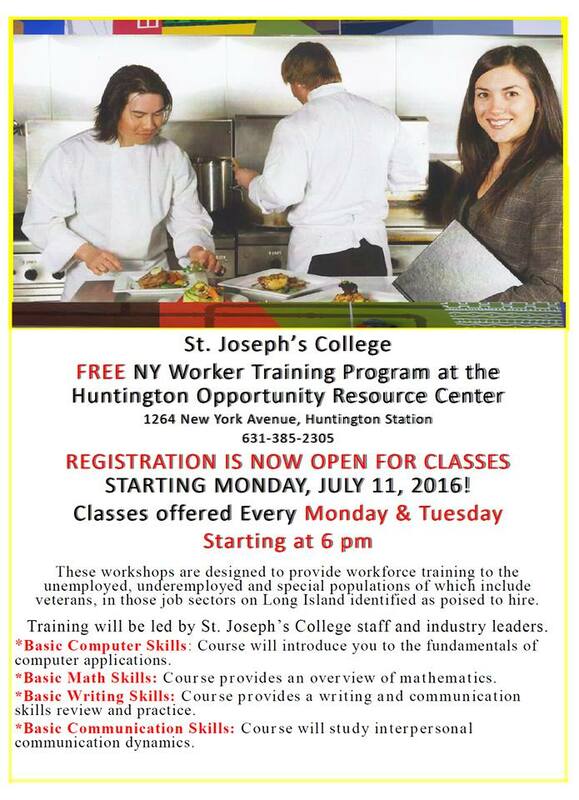 For more information please contact the Huntington Opportunity Resource Center at (631) 385-2305. Are you looking for a job? 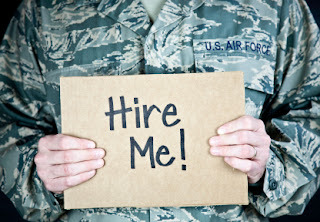 Are you tired of sending resumes left and right and never getting an answer? If you are, dress in your best professional clothes, bring resumes and visit our Long Island Career Fair on Monday, July 18th from 11-2 pm at the Melville Marriott Long Island. You will have the opportunity to meet top employers and to interview for several positions during the course of the day, meeting the people who make the hiring decisions. You will save a lot of time since there will be no need to craft a customized personal statement for each company you visit. You’ll be able to tell them why you wish to work for them, and you’ll have the chance to sell yourself. Admission is FREE. Complimentary on-site parking. The Island Drafting & Technical Institute will offer a course, Computer Aided Drafting starting on July 19th. The course progresses from an introduction to computer basics (hardware & software) to advanced technical production drawings in 2D. The objective of the program is to provide a comprehensive CADD (Computer Aided Drafting/Design) program with extensive hands-on application to satisfy industry needs for entry-level personnel with thorough CADD knowledge. To learn more about this, and other, courses at IDTI please call (631) 691-8733 x114. Looking for work? Want to explore opportunities? 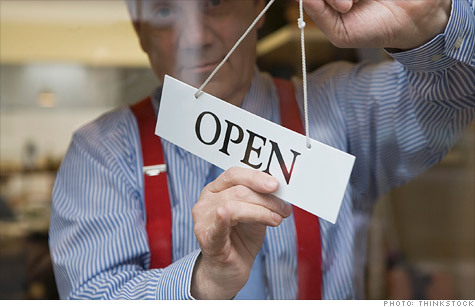 The Suffolk County One-Stop Employment Center will be hosting 2 Job Fairs in July. 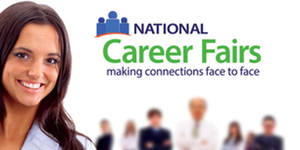 Meet HR recruiters & receive employment information from organizations representing various industries. Bring your resume and dress for success! If you are in need of proper interviewing attire, please contact Career Couture at (631) 853-6769. For more information please call (631) 643-4848. YouthBuild Long Island is a free program that provides low-income young adults ages 18 to 24 to work towards their TASC diploma while learning hands-on job skills. A Case Manager will be On-site at Huntington Opportunity Resource Center on Thursday's from 9:30-12:30 PM. New class forming for July. Come to the resource center or call for more information 631-385-2305. 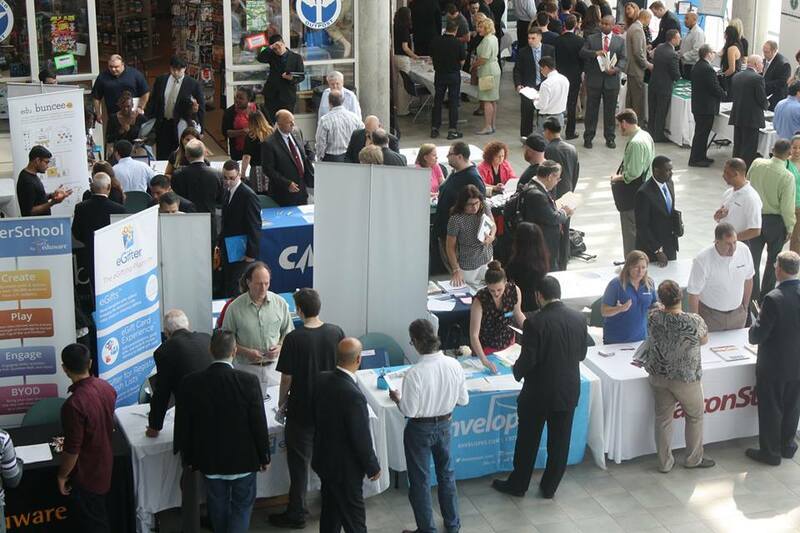 The Long Island Tech Job Fair is a one-day Tech-Focused Job Fair created specifically to connect talented tech job seekers with Long Island companies’ seeking to fill well over 150+ technology-related positions. This Job Fair benefits the Long Island tech community and allows companies of all sizes the opportunity to directly recruit from Long Island’s talent pool of software engineers, UX & UI designers, growth hackers, iOS developers, data scientists, web developers, digital marketing (SEO/SEM/Social/eMail), Channel Development Manager, Engineers and beyond! The Job Fair will take place on Monday, June 20th from 10-2 PM at the Cradle of Aviation Museum. The Town of Babylon, Human Services Department & North Amityville Resource Center has partnered with Suffolk County Department of Labor, Licensing & Consumer Affairs to provide a Career Fair on Tuesday, June 21st from 1-4 PM at the Town of Babylon Department of Human Services. Organizations representing various industries, including healthcare, manufacturing, office administration & more will be there! Dress to impress & bring copies of your Resume! If you are in need of proper interview attire, please contact Career Couture at (631) 853-6769.